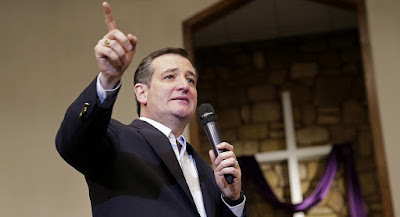 In no particular order, Texas senator and Republican presidential aspirant Ted Cruz has: said acts of Christian terrorism stopped centuries ago, forgetting the Ku Klux Klan and the shooting in Colorado last week; claimed he has never met an anti-abortion activist who advocates violence, despite being endorsed by one just days before; dismissed the need for Planned Parenthood because there isn't a shortage of "rubbers" in America; and made an offhand comment that Colorado mass shooter Robert Dear could be a "transgendered leftist activist." All this in just the last week. Cruz also has a favorite line he likes to use, which appears on the stump and in his book. "For a long time, the left has had two caricatures of conservatives: that we are either stupid or evil. I take it as a backhanded compliment that they have, to some extent, invented a third category for me: 'crazy.'" 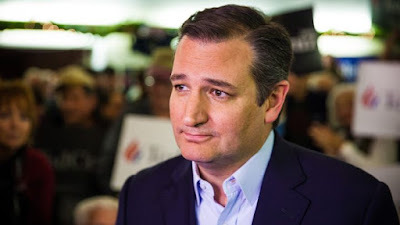 It's typical Cruz: both self-aggrandizing and distant from the truth, with a little temporizing statement ("to some extent") that rescues the self-aggrandizing part from being an outright lie. Either way, it's wrong. Ted Cruz is far from crazy, which is the essential Ted Cruz problem. Crazy you can deal with, even forgive a little, often ignore. Ben Carson is a bowl of Froot Loops floating in a sad lethal pond of gasoline. Donald Trump went warp speed into the Trumpiverse decades ago. Both men have conducted their campaigns and recent years on perpetual tangents. But Ted Cruz knows exactly what he's doing. He doesn't even hide it particularly well. 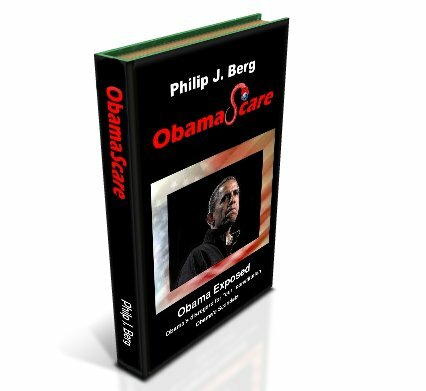 Not only is his intelligence one of his favorite selling points, his book undermines any notion that he misspeaks. He is gaffe proof because the gaffes are not arrived at by error. Ted Cruz does awful things by intelligent design. Katie McGinty U.S. Senate, PA - Are you kidding??? President Barack Obama and Vice President Joe Biden have endorsed former state Environmental Secretary Katie McGinty in the April's competitive Democratic primary for the U.S. Senate. Are you kidding me? Who the hell would vote for this Tramp with Obama and Biden BOTH endorsing her?? She also brags about how great ObamaCare is! DON'T support this loser! Show her the door!! The Republican Party in Colorado may have given away the state’s delegates to Texas Sen. Ted Cruz without a vote, but that doesn’t mean that Trump supporters are giving up without a fight. A social media campaign has begun to protest the state party’s decision to decide its delegate allocation without a vote — 34 in total — during this election cycle. Sen. Cruz — whose ground game and political maneuvers have been besting Trump even when Cruz hasn’t been beating the billionaire at the polls — took all 34 Colorado delegates this weekend. Colorado Votes Matter, a newly formed protest group, aimed to change that, and they planned to start this Friday. That assembly will happen this Friday, when the group plans to demonstrate en masse against the Colorado state party outside its headquarters in Greenwood Village. Trump has also expressed great anger at the Colorado process. In an interview with “Fox & Friends” Monday, Trump said Colorado was the result of corruption by the Cruz campaign. 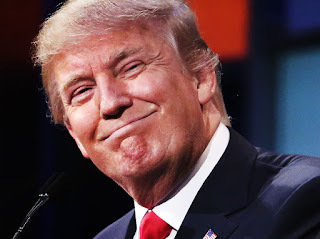 “I’ve gotten millions … of more votes than Cruz, and I’ve gotten hundreds of delegates more, and we keep fighting, fighting, fighting, and then you have a Colorado where they just get all of these delegates, and it’s not (even) a system,” Trump said, according to WND. Trump also accused Cruz and his campaign of buying the vote. It’s pretty common to see a candidate complain about that sort of thing when it doesn’t go their way. But a group of supporters who never even got to vote for him? Like him or hate him, one thing’s for sure — Donald J. Trump has inspired passion that few other candidates have in recent times. The people of Colorado should have been able to vote for him if they wanted to — and, if Colorado Votes Matter has their way, they will be. 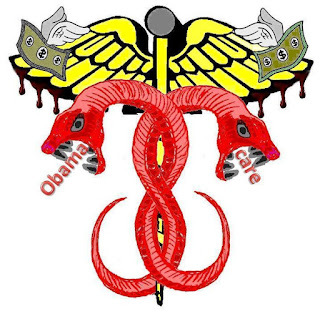 Obamacare IS broken, WAS broken, and will CONTINUE to be broken. It is un-fixable because it was poorly designed. It is illegal and unconstitutional (and I don't care what the liberal, long term, "should be impeached judges" have determined - the constitution is pretty much black and white!) My wife is just one example. She works at a grocer. Pre-Obamacare she paid $100.00 per month for good coverage with a $500.00 deductible. Obamacare comes - the store says "we're cutting all your hours so you can go on the exchanges and "save money." Guess what? The losers (including Hillary "The Criminal" Clinton) who designed this piece of crap base the cost of your insurance, and what subsidies you get on HOUSEHOLD income - and they apparently think that $40,000.00 is "rich"; I guess since they don't understand you can't live on that sort of income. In any event - I tried getting insurance at work, we tried getting insurance in the marketplace. Cost of new insurance would be between $450 and $600, with a $4,000 out of pocket and $1000 deductible! My wife makes $450 per month!!! Then - If I don't buy her insurance, they want to fine me 5 or 6 thousand dollars! And, all the slackers who are getting free or cheap insurance go the the hospital thinking "Oh, I have insurance." Then they get the deductible and out of pocket bill, don't pay it, and stiff the hospital. Guess who gets to pay this? We, the now poverty stricken middle class! 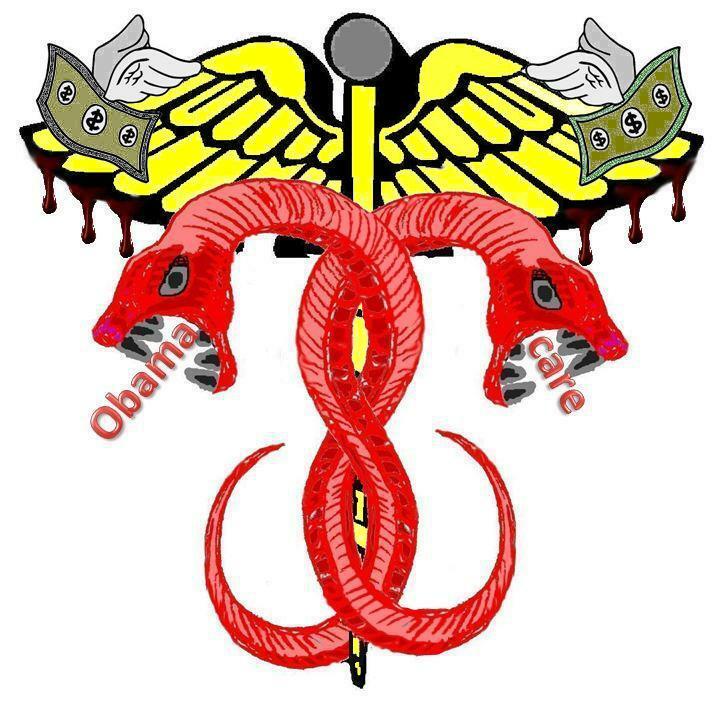 This piece of crap has to be de-funded and repealed, and insurance companies dropping out is the start of a grand revolution against this illegal plan! Bad things can happen when a government forecast proves to be way off. There are mistakes, and then there are big mistakes. What the Congressional Budget Office's latest report on federal subsidies revealed was a mistake of monstrous proportions on the part of the federal government. The Congressional Budget Office, or CBO, has been making projections on the future of Obamacare, and healthcare in general, for years. Initially, the CBO had projected that up to 21 million people would sign up for private health insurance using Obamacare's transparent marketplace exchanges by 2016. However, that estimate has been substantially reduced to just 12 million. According to the Department of Health and Human Services, Obamacare enrollment totaled "about 12.7 million" as of the end of third enrollment period (Jan. 31, 2016). Ultimately, the CBO foresees private health enrollment via Obamacare topping out at between 18 million and 19 million people between 2018 and 2026. What does the future of Obamacare hold now that its total cost is expected to be 11% higher between 2016 and 2025 than initially expected? That's really anyone's guess, as major changes could be on the horizon. 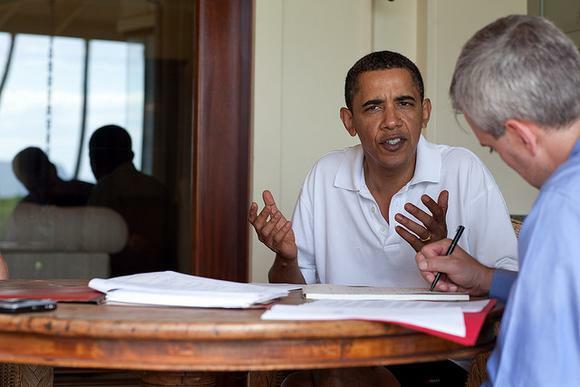 Obamacare's demise could be the 2016 presidential elections. With the exception of Hillary Clinton, the Democratic Party front-runner who has said she would build upon the progress of Obamacare, the remaining four candidates (Bernie Sanders from the Democratic Party and Republicans Donald Trump, Ted Cruz, and John Kasich) have all suggested that Obamacare would be repealed under their watch. It's unclear how disruptive a full repeal would be for consumers or insurers. We also have insurers that are struggling to make ends meet, at least in terms of Obamacare plans. UnitedHealth Group (NYSE:UNH), the nation's largest insurer that also happens to be operating in about half of all Obamacare exchanges, warned its investors recently that it could lose nearly $1 billion from its Obamacare plans in 2015 and 2016 combined. UnitedHealth has been crystal clear that it should have waited longer to enter the exchanges, and it's also cautioned that it may completely leave Obamacare's marketplace exchanges by 2017. Peer Humana has also threatened to do the same after individual market losses. The nation's largest insurer being unable to turn a profit and figure things out puts into question the program's long-term sustainability. We're also seeing premium costs accelerating at a rapid pace. After a period of tame premium cost inflation, the Kaiser Family Foundation estimated the average premium increase of 50 major cities in 49 states at 10.1% in 2016. The transparency of Obamacare's marketplace exchanges was supposed to keep a lid on premium inflation, but crushing losses have caused some insurers, including more than half of Obamacare's healthcare cooperatives, to close up shop. Premium cost inflation like we're seeing in 2016 could make the Affordable Care Act quite unaffordable in short order. Despite pushing uninsured rates to their lowest levels on record, Obamacare's long-term outlook is starting to look as shaky as ever. Cruz’s unapologetic brand of Christian conservatism hasn’t changed much in the past 12 months, but the political terrain of the 2016 campaign has. After meticulously building an evangelical base that delivered Cruz an opening victory in Iowa and helped him amass the second-most delegates to Donald Trump through March, the Texas senator now faces a gantlet of some of the least religious states in the country. As few as four of the remaining states are projected to have a majority-evangelical GOP electorate. Much has been made over the past few days of Trump's challenges in securing enough delegates to win the nomination. But unless Cruz can quickly make inroads with non-evangelical voters who so far have mostly rejected him, he has little chance of stopping Trump. So far, the candidate who disparaged his rival's "New York values" has shown no sign of tweaking his message to appeal to a less religious coastal electorate, gambling instead that antipathy toward Trump will be enough to draw those voters into his camp.